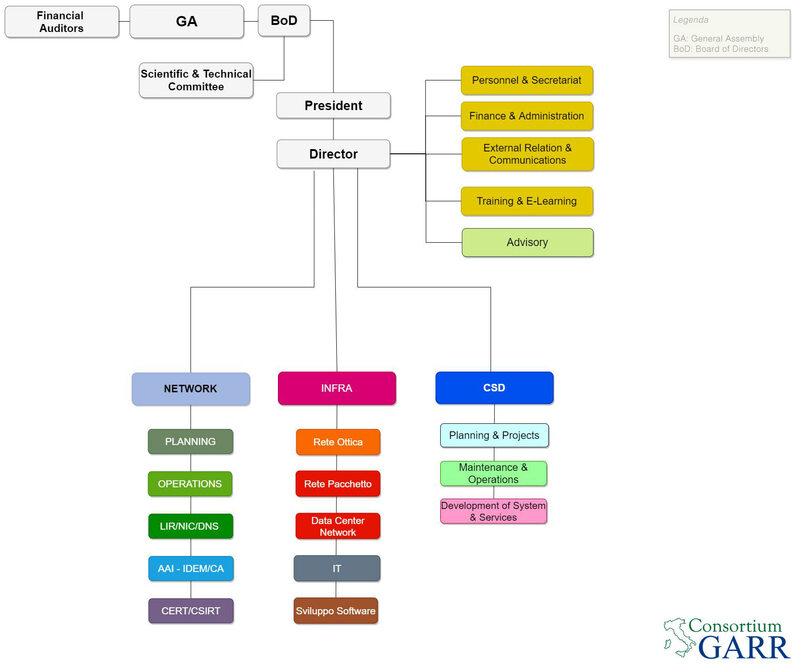 The research community represents the heart and the initial core of GARR users. Of the many souls that compose it, the research is the one that most often manifests complex requirements, both in terms of bandwidth demand and advanced services and pushes GARR to develop innovative solutions and experiment with emerging technologies to meet these needs, both from the experiments of Big Science, both in support of the so-called "long tail of science": the goal? Provide all the researchers with state-of-the-art services, regardless of where they work on the national territory and with which countries they should collaborate.. It is no coincidence that the founding members of GARR are three of the major Italian research organizations (CNR, INFN and ENEA) and the universities, which also have a not less important research aim in addition to the training mission. To these, over the years, INAF, ASI, INGV, CREA and a large number of other research institutions have been added. The research support activity carried out by the GARR network, in addition to the predefined solutions and services offer, includes customized design and support interventions in response to particular requirements by an experiment, community or project. These are bespoke solutions created in close collaboration with the technical staff of the bodies involved and which are often experimental, ie not yet available on the market. The areas of intervention concern all the disciplines of research and culture. For some of them separate infrastructures have been built. GARR is involved in the construction and operation of the LHCONE and LHCOPN private networks to support the experiments of the LHC particle accelerator at CERN. Given the very high production of LHC data, their analysis is carried out in a distributed way in the data centers of level 1 and 2 (Tier 1 and Tier 2), as well as CERN (Tier0). For this reason it is important to have a robust and capable multi-service network to support data transfer. Data Centre Interconnection have been ongoing for over 5 years, which have enabled us to extend the functions of data centers on a geographical scale (for example, with the interconnection of the INFN offices in Rome and Naples in a single distributed Tier2) and to improve progressively performance. the transfer, through one of the transatlantic links between the PoP of GÉANT in Geneva and the Starlight of Chicago, of the 5 petabytes of data collected by the CDF experiment from the Fermilab of Chicago at the INFN-CNAF for data preservation purposes. The support offered to the Italian participation in the Belle II experiment in improving the model of data distribution to North America, Europe and Japan. Belle II is an ambitious experiment by Flavour Physics, which intends to study the interactions between the various quark families. When fully operational, it is estimated that it will produce 25 terabytes of data a day, which will have to be distributed in the data centers of 4 continents for processing: hence the requirement for an efficient network capable of sustaining these rhythms. The high-capacity optical fiber connection of the radiotelescopes of Medicina (BO), Noto (SR) and of Sardinia Radio Telescope (CA), allows the National Institute of Astrophysics (INAF) to participate in the e-VLBI observation sessions in time real. e-VLBI is a technique for correlating in real time the data acquired from interferometric observations of celestial sources made by different radio telescopes. This allows to increase the definition of the observed phenomena, succeeding in obtaining a definition equal to that which could obtain a parabola with a diameter equal to the distance between the radio telescopes involved. The network is of fundamental importance in this technique because it allows the synchronization of observations and the correction in real time of any errors, a crucial fact to not lose any information if you are observing an unrepeatable event such as astronomical ones. Radio telescopes can also be used for other types of research, for example geodynamic observations and monitoring and to communicate with interplanetary probes, including Rosetta in 2015 and, more recently, Cassini. GARR has offered dedicated support to a project that involves sending an optical time reference signal from the National Institute of Metrological Research (INRIM) in Turin to the European Laboratory for Non-Linear Spectroscopy (LENS) in Florence. In Turin, a DWDM layer was also created on a metropolitan fiber loop (47 km) for the transport of data traffic and an optical time reference signal. The ring creates a Sagnac fiber gyroscope that can be used to analyze changes in Earth's rotation and is sensitive enough to allow the measurement of earthquakes. A new end-to-end link was also dedicated to the development of the telecontrol and diagnostic structure of the equipment involved in the European project NEAT-FT (Network for European Accurate Time and Frequency Transfer), which uses optical networks for research metrology and the development of new techniques for the comparison of remote optical clocks. The connection allows the LENS Metrology Laboratory to report its frequency standards to the International Measurement System unit. In addition, GARR and INRIM are collaborating on an experimentation for the realization of time-as-a-service, a service that will use the optical fiber for the transmission of the high-precision time signal. GARR provides technological support and advanced tools for the activities related to some of the main research infrastructures recognized in the ESFRI roadmap. Among these are highly relevant those Italian coordination as EPOS (European Plate Observing System), coordinated by the INGV, which aims to create a technological platform for the study of earthquakes, volcanoes and tidal waves; and EMSO, also coordinated by INGV with the aim of creating an infrastructure consisting of a network of marine observatories for the monitoring and study of the various types of processes that take place in the ocean depths (geophysics, oceanography, biology). Another project for which the digital infrastructure made available by GARR has a fundamental role is Km3Net, a project coordinated by INFN to create a telescope for high-energy cosmic neutrinos, which aims to identify the astrophysical sources of cosmic rays and 'antimatter. The only infrastructure of its kind in Europe will become the most complex underwater laboratory in the world and will be open to the communities of researchers who study the Sciences of the Sea and the Earth. GARR participates in the activities of the Italian node of the ELIXIR project, the European bioinformatics infrastructure. Other research infrastructures that see an important Italian participation are SKA, CTA, EuroBioImaging, BBMRI, Lifewatch, EMBRC, MIRRI, E-RIHS, DARIAH, CLARIN. They cover disparate subject areas, from astronomy, to biology, through linguistics.